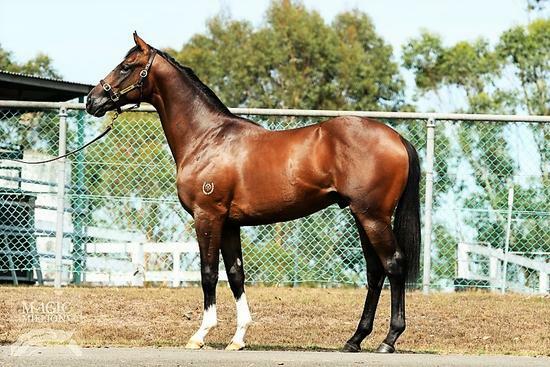 I AM INVINCIBLE (AUS) (Bay 2004-Stud 2010). 5 wins-1 at 2, SAJC DC McKay S., Gr.3. Leading Aust. First Season Sire 2013-14. Sire of 450 rnrs, 340 wnrs, 37 SW, inc. Brazen Beau (VRC Coolmore Stud S., Gr.1), Viddora, I Am a Star, Oohood, Hellbent, Invincibella, Illustrious Lad, Fiesta, Pure Elation, Invincible Gem, Look to the Stars, The Justice League, Santos, Super One, Voodoo Lad, Most Important, Houtzen, Eckstein, Invincible Star, Overshare, etc. SHE'S A WILDCAT, by Fastnet Rock. Unraced. Sister to FOXWEDGE, SHE'S A FOX, Paulownia. Dam of two named foals, neither raced. Banksia. 2 wins at 1000m in 2016-17 in Aust.